Quotations about Becoming Perfect. Quotes to stimulate mind and drive action! Use the words and quote images to feed your brain inspiring things daily! 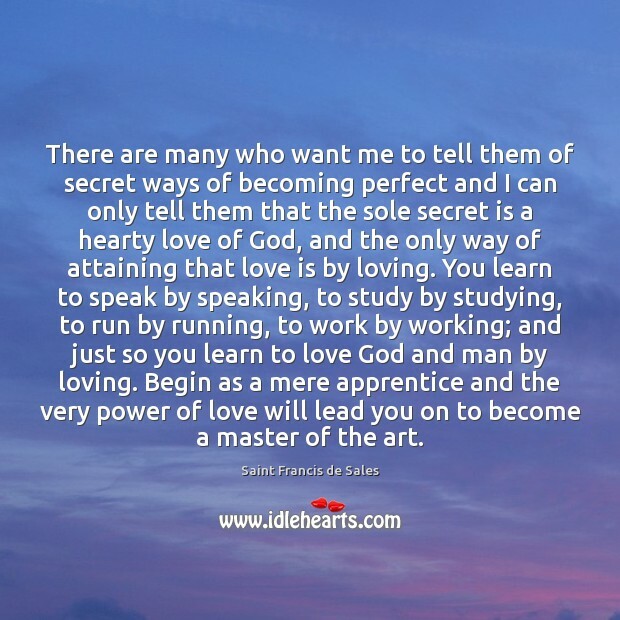 There are many who want me to tell them of secret ways of becoming perfect and I can only tell them that the sole secret is a hearty love of God, and the only way of attaining that love is by loving. You learn to speak by speaking, to study by studying, to run by running, to work by working; and just so you learn to love God and man by loving. Begin as a mere apprentice and the very power of love will lead you on to become a master of the art. 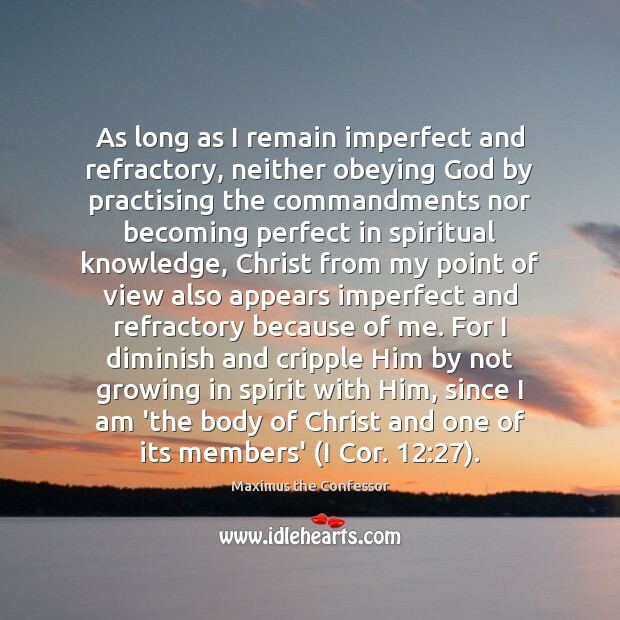 As long as I remain imperfect and refractory, neither obeying God by practising the commandments nor becoming perfect in spiritual knowledge, Christ from my point of view also appears imperfect and refractory because of me. For I diminish and cripple Him by not growing in spirit with Him, since I am 'the body of Christ and one of its members' (I Cor. 12:27). In ancient times, people said that imperfect moves to becoming perfect. Are these words vain? No! 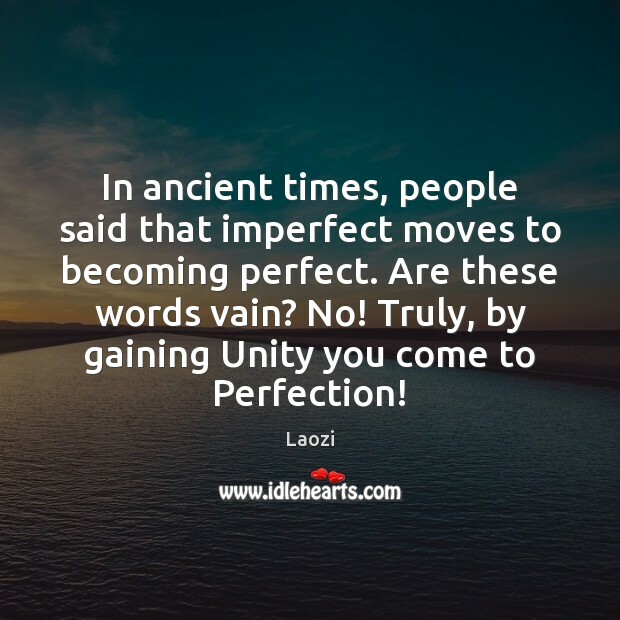 Truly, by gaining Unity you come to Perfection! 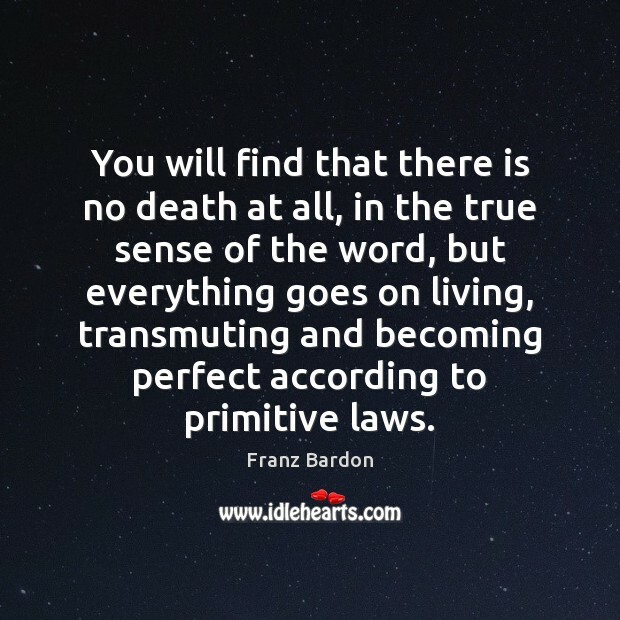 You will find that there is no death at all, in the true sense of the word, but everything goes on living, transmuting and becoming perfect according to primitive laws. 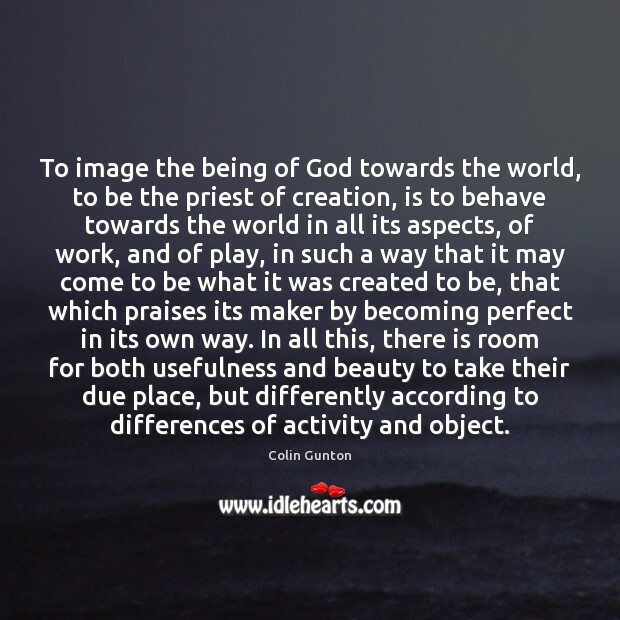 To image the being of God towards the world, to be the priest of creation, is to behave towards the world in all its aspects, of work, and of play, in such a way that it may come to be what it was created to be, that which praises its maker by becoming perfect in its own way. In all this, there is room for both usefulness and beauty to take their due place, but differently according to differences of activity and object.